Set across a span of 12 years, the story of a serial killer named Jack. 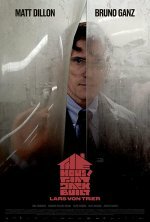 The House That Jack Built release date was Friday, December 14, 2018. This was a Limited in theaters release.